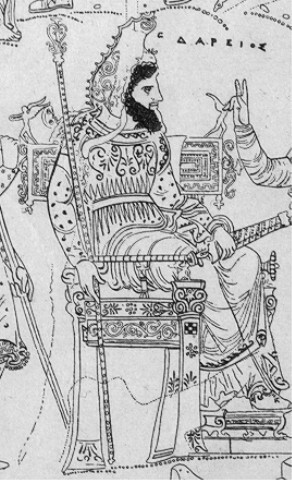 I started to share the best stories of Herodotus not because there was a huge popular demand for it (I’m yet to see the masses clamouring for more – of anything – on this blog) but because I don’t believe that Herodotus belongs to the academics only. People nowadays perceive classical authors as boring; in my experience it’s modern academics who are boring. Herodotus is anything but. 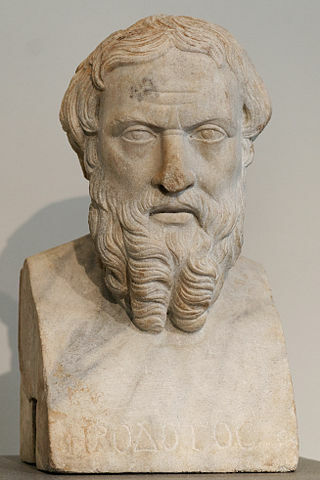 How could you not want to read Herodotus, the first historian, a man of inquisitive mind with the gift of the gab? How could you not want to read Herodotus, the author of unforgettable aphorisms and cracking stories? A genuine polymath (it was easier back then) who covers everything and anything from geography to folk customs…? The surprisingly modern thinker and a great champion of liberty and democracy? When you read him, it’s easy to see how much of our modern notions we truly owe to the ancient Greeks. An awareness of history plays an important part in forming identity. Herodotus was the man who – while busy writing history – unwittingly created the identity of the West as we know it. Come on, see for yourself. …the Athenians cast these heralds, when they made their request, down into a pit, and the Spartans had thrown theirs into a well; and the heralds were told to take their earth and water to the King from there! Salamis – an island in the Saronic Gulf in the Aegean Sea, opposite Mount Aigaleo, 16 kilometres west of Athens. Salamis – a battle that defined history for centuries to come. I first heard this evocative phrase in a history class at university many years ago but in certain countries (the English and the Spanish can raise their hands here) it’s pretty well-known. And I don’t know about you but it makes me think of ships ploughing the oceans, armies marching and merchants haggling over exotic goods. I think of kings whose word was law over diverse lands, of gold and glory and of a confusion of languages to equal that of Babel. In fact, in my mind I can see the big globe in the library of the Escorial, turning slowly…. Have you ever read Herodotus? Let me guess: the answer is no. Are you ever going to read Herodotus? You bet. Well, bits of it, at any rate. 🙂 If I have anything to do with it. Today, let’s talk about an author that you all consider ever so boring. By the time you finish reading this, however, you’ll realise he’s an author worth reading. With a beard like that he’s obviously boring! For my part, what I consider boring… is biographical facts. So I’m going to keep this part short – mercifully we know next to nothing about him. Let’s start today’s post with the one thing we should never start a piece of writing with: a cliché. Today’s cliché is that life is full of choices. None of us can avoid them, although some people make a damn good effort to as they’re painfully aware that by choosing something, they will miss out on something else. To these people the most of awful thing about choice is the very fact that they have to make one; that maybe none of the alternatives are any good only comes distant second. Most people who took any notice of the Persian wars in their history class would know about the battle of Marathon in the first Persian war and the battles of Thermopylae and Salamis in the second; maybe, if you were really into it, you’d be aware that in fact there were a couple more battles, that of Plataea and Mycale the year after, that marked the genuine end of the Persian invasion of Greece. But the battle that almost everybody invariably forgets is the battle Artemisium, a sea battle fought simultaneously with the battle of Thermopylae. Yet without holding the Persian navy up at Artemisium there would have been no battle of Thermopylae – nothing would have prevented Xerxes to simply sail his troops round the wretched pass, making its defence wholly pointless. It’s hardly surprising, however, that in the end the battle of Artemisium got entirely overshadowed by the fame of Thermopylae. So what happened in the forgotten battle at Cape Artemisium? The Delphic Oracle had foretold the death of a Spartan king and advised the Athenians “to flee to the ends of the earth” but believed Apollo would take care of Delphi. And now, with a Persian army intent on loot having reached the temple of Athena and the locals having all run away, nothing short of divine intervention could save the Oracle and the treasures of Delphi. But would Apollo save his most famous temple or let it be looted and burned? First the heroes, of course… the villain can wait! Considering how long The Histories is, Herodotus didn’t spend too long on the description on the actual battle at Thermopylae – a mere two dozen paragraphs or so. Nevertheless, it’s still too long to be quoted in its entirety – especially, if I want to keep my few readers! Xerxes’s army was already on European soil but their Greek opponents were still to determine where and how they should fight them. Or even to ascertain who was willing to fight them. The Delphi oracle – which in hindsight has been accused by some historians of being in Persian pay – advised all and sundry to sit on the fence if they could, told the Athenians to “flee to the ends of the earth” and warned the Spartans that either their city of “wide spaces” would be sacked or “the whole of Lacedaemon shall mourn the death of a king”.